After some weeks using the Gear360 from Samsung to produce spherical images I have gained some insights and experiences in this field and would like to share some thoughts. First of all: it´s a completely new way of making images! As a photographer I am used to employ certain tools in order to achieve my photographic goals – for example, I choose the frame to concentrate the viewer into what I believe is the main topic of my image, leaving the “unimportant” out of the frame. I choose a certain lense that fits to the topic I want to show, for example a wide angle lense for a wide landscape or a telezoom for a single detail. I also decide when it´s the right time of the day to shoot, so I can take advantage of some lightning situations that would emphasize what I want to show in my image. I check for leading lines, patterns… I do “construct” the image. Actually, I use these tools to “control” the eye of the viewer and hopefully convince him (visually) to look at what I want him to see. This is traditional photography as I learned it. Framing is one of the most important tools of a photographer. It gives him the power to decide on what the viewer is going to look at. It also allows to make the desired composition of the content inside the frame. 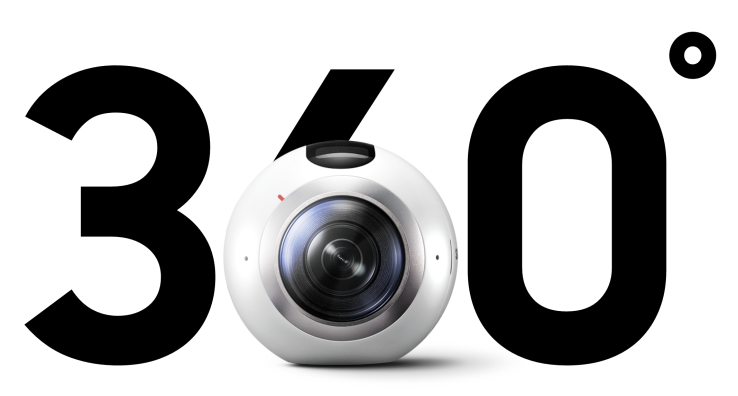 With a 360° cam you cannot frame anymore… everything around the cam is in the frame. Yes, this actually includes you, the photographer, too. When you press the shutter-button on the 360° cam it immediately freezes the whole scene around the cam: front, behind, left, right, under, over… just everything. When you later watch the image with a VR goggle, then you will see exactly all that was around the cam at that precise moment. As a photographer you loose the ability to choose which content of the scene you want to present to the viewer… he sees the content you wanted him to see, but also everything else that was around this content. The only thing you can do is to choose how far or near this content should be from the center point. By the way… one of the particularities of this new way of making images is that certain places and international landmarks, that used to look awesome on 2D images, suddenly loose a bit of their shiny crown. Take for example the Pyramids of Giza: if you see the trilliards of images of them, you will (almost) always see them kind of majestically standing there alone in the middle of nowhere. When you look at the 360° version of the place… well, suddenly you realize that they actually are very close to the city… and that the best view of them is actually not looking in the direction of the city. Or the Colosseum in Rome… looking great if you stand infront of it… but there´s a pizzeria behind you. But, this is plain reality. That´s the way this places look when you go and visit them. 360° images show you the naked & authentic reality. When it comes to the choice of lenses we usually take that lense out of the bag, that fits best to the visual feeling that we want to transport to the viewer. If we want to achieve a feeling of wideness, drama and panoramic view, we put our wide-angle lense on the cam. For details our weapon of choice is the tele-zoom and if we feel playful, we take the fisheye. If we need to focus on a certain distance, we take a fast lense and get some nice depth of field. Well, all of these pieces of glass and their singularities have no more meaning with the 360° cam. In the case of the Gear360 I am using we are dealing with 2 fish-eye lenses (I think each of them have 190°) that are used simultaniously the moment you press the shutter-button. The visual feeling is always the same, it´s only influenced by the choice of location. And because of the mathematics of the fish-eye lenses objects that are near seem bigger and the ones far away… well, smaller. And everything is in clear focus. The light you choose will almost always depend on the time of the day you setup the cam. As the sun will always be in you image sphere, unless you shoot at night or inside a building, of course. So, you will have many situations where the light looks good at one direction of the sphere… but not quite pleasant at the other direction. Artificial lightning or reflectors wont work as they would show up in the image. Very few you can do about this issue in the 360° world. The last point I wanted to talk about is a very peculiar one: as photographers we are used to view through our viewfinder and check that the content inside the viewfinder is the one we want to have on the image. Well… in the 360° imagery world you have to check EVERYTHING around you. Infront of you, at the sides, under your cam and above your head. This is a task that take a lot more of time than the usual way, because sometimes it will happen that you have checked everything infront of you, but what happened behind has changed. So, you will have to turn your head like a radar and most certainly you will never achieve 100% of control. This is not quite important when shooting a landscape somewhere in the Sahara or in the woods… but try shooting a landmark in a city where everything and everybody is continuosly moving. So, at the end when you shoot 360° images you´re not “photographing” like in the “old” days, you´re actually documenting a certain moment in time and place. And this documental is as real as it can get. The traditional tools you had while using your 2D camera are gone and it´s only a thing of time and place, light and location. If you want to create stunning 360° images you will have to dilligently search for the location of the center of the 360° sphere, check the surroundings, check once again the surroundings and wait for the right light. Not very much you can do else. Of course, you can build up a lifestyle scene with models and so you will get a bit of control of the content of the image. But there will still be the details in the background which you have to be aware of. And another important experience I have made is the following: the images made with this technology are not meant to be consumed on print media. And they are actually not meant to be consumed on a 2D-Monitor, neither. They only unfold their whole magic when viewed through a VR goggle. Only then the viewer will get the whole immersion experience. That´s why some of the “deadly errors” (sharpness, noise, CA, etc.) wont play such a critical role as with 2D images. It´s all about the content and the experience the viewer will have when he “transports” himself to the place to are showing him. So, make sure it´s an interesting place and try to tell a story… choose the start-view of the sphere in such a way, that the viewer will be captivated from the first second on. and of course news, press, sports and documentaries. There other areas of commercial photography will depend upon if this new way of consuming images (and videos) will gain a vast acceptance with the public. The Gaming field is already taking off with this technique, but the more conservative industries are still in a very early stage of adopting this new media. I mean it still is kind of goophy to have to stick your smartphone into a VR-goggle, start the app and then consum the media. But this is only a technical question, the gadgets will become better and I am sure, in some years it will be quite normal to meet people wearing good-looking glasses (and not the actual large bricks) in the train… that wont be watching out of the window, but consuming some kind of VR media. If the future of browsing, as some voices in the industry foresee, is in the VR-mode, then we will see a revolution of how imagery is beeing done and also a big demand for them. Until then producing for this market is producing for a niche demand, but on the other side, you´ll have the steep learning curve for this media behind you, when the market share starts to growth. And regarding specifically Stock Photography… I´ve began producing some first stills for the market and will check how things go.